Abby has always known how she wanted her life to play out and she's had a strict plan in place to make sure everything sticks to her schedule. So when a twist of fate happens and her whole world is turned upside down, she finds herself a movie star instead of the journalist she expected to be. To say her life's plan had gone off the rails would be an understatement. But hey that's her life, and there's nothing she can do about it now. Or so she thought until she wakes up on her eighteenth birthday and suddenly her entire life has changed. Turns out she's living in an alternate version of her life due to a parallel universe colliding with hers, only she's the only one who realizes it. 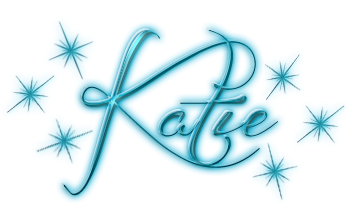 With almost daily shifts in her reality Abby has to let go of her carefully laid plans and just go with the flow for the first time in her life. I really loved Abby's character, both the past and present versions. In fact, PARALLEL shows that while different circumstances may change us, at the core we still the same person irregardless of outside influences. So really, both Abbys had the same characteristics that really drew me into her. There was just something so real about her personality. I especially enjoyed the sections in the present, as her inner strength really shown due to the constant changes in her reality. By seeing both sides of the story, she had a unique perspective to see how her choices would effect her life. I think it honestly made her appreciate everything she did have that much more as she knew that at any moment it could have been ripped from her life due to another shift. This especially held true when it came to the romance as it made her cling to her relationship in the present even while each day brought stronger and stronger feelings for the past love interest as Past Abby fell more in love with him. But don't worry, it really wasn't a love triangle per se, but more of an inner conflict as Present Abby had to juggle her very different feelings while knowing that no matter her decisions, it could have have changed when she wakes the next day. What really made this book's concept soar for me was the way things played out. By having the "shared" reality change daily for Present Abby based on the decisions Past Abby made, it really kept her (and me) on my toes. Some of those changes would be mild, really of no circumstances, and yet other times the changes were devastating. Sometimes Abby would wake up and have everything her life turned upside down again. It really makes you think about how much in life is all up to chance. Just something as simple as choosing where to eat dinner that night could forever alter your future path. For example, if you choose place A over B and your soulmate happened to have been at B, then you would miss out on meeting the love of your life, and your life would be completely different. It just really made me take a step back in amazement as I realized how so many small decisions in my life could have forever altered how things turned out. The only real complaint I had about PARALLEL was the way things turned out in the end. Don't get me wrong, there's a really interesting twist that would have sold me on the book alone. But ironically that is where my complaint lies. That incredible twist completely changed my view of everything leading up to it, and yet I felt like it could have been expanded on so much more. Even just a short epilogue would have really solidified things and given me a whole lot more satisfaction in the end. And honestly, that abrupt ending is really the only thing keeping me from giving PARALLEL a solid 5 rating. 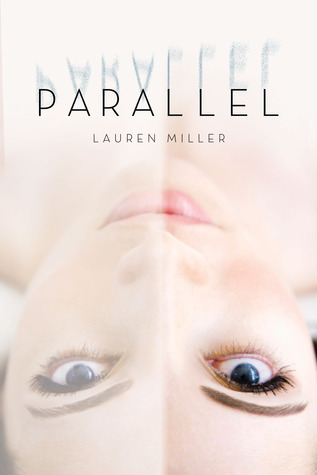 Endings aside, PARALLEL is one of those books that grabs a hold of you from the very start and doesn't let go. I'll definitely be on the look out for more from this fantastic new author in the future!